Polystone® Safe-Tec has already been used for many years as a step-on surface in areas requiring particularly high slip and step resistance, such as in the chemical industry, wet areas of swimming pools, sanitary facilities and play areas. 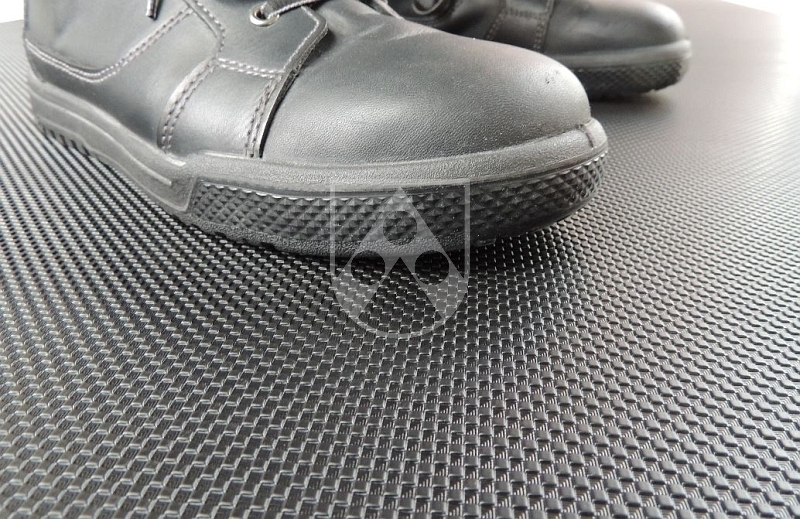 The material has a slip-resistant surface on one or both sides that offers excellent step safety even when wet. To improve slip resistance and enhance safety, Röchling now offers Polystone® Safe-Tec with a newly developed surface structure, "cubic grain". "Cubic grain" has a three-dimensional, cube-shaped grain that ensures a mechanical frictional connection between floor and shoe when stepped on and hence greater resistance and stability. "Cubic grain" offers improved slip-resistance properties particularly in the wet because moisture flows into the deeper areas of the grain, preventing any slippery film forming on the surface. Improved slip resistance: Polystone® Safe-Tec is now available with the new surface structure "cubic grain"